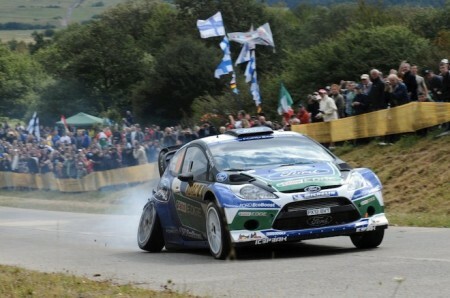 The 2012 season opened with high hopes for Petter Solberg. After three seasons running a private team when Subaru dropped out of the WRC, Petter vowed last year to never run a private team again. Petter was finding it difficult as a private owner to have the time required to work with sponsors, manage the team, and still test setups and study the stages to remain at the top level of the WRC. Additionally, he had frustrations with his Citroen developed car not getting equal treatment as a paying customer as the cars backed by the manufacturer. 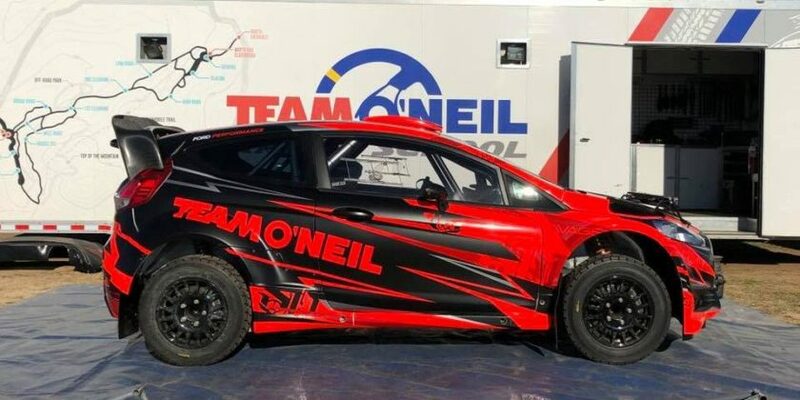 Petter had said many times, that if given the chance to drive for a fully backed manufacturer team again, he could win rallies and maybe even a championship. 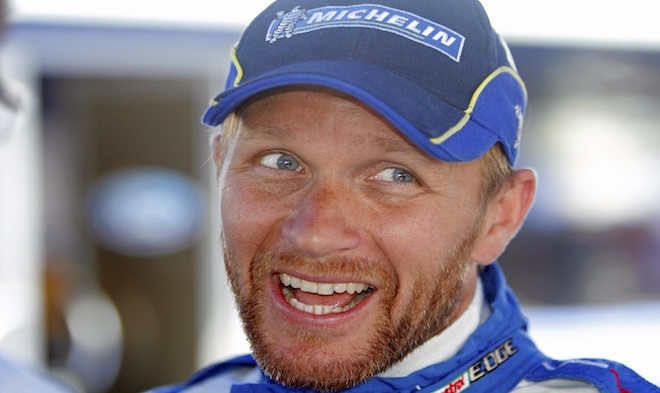 Late last year saw the move of Mikko Hirvonen to Citroen opening the door for a manufacturer seat with Ford. Malcolm Wilson took him on, but was clear in stating that Petter would be the Number 2 driver and his job was to support Jari-Matti’s push for a title. Petter’s decade long experience in the WRC should have resulted in much more consistent finishes than how the season played out though. 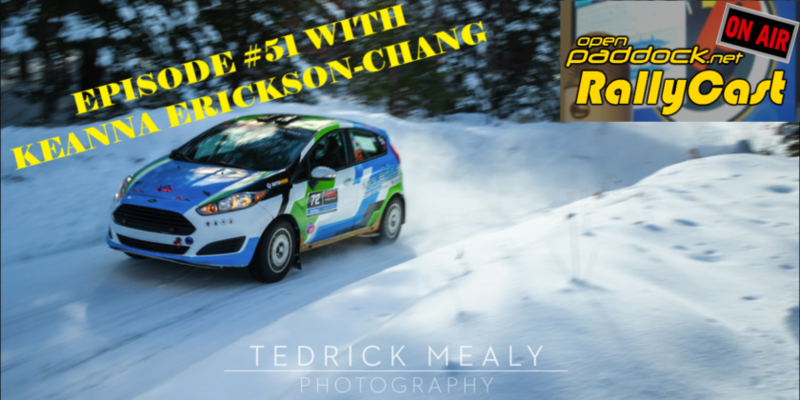 It started off well enough with a 3rd place podium spot at Monte Carlo even though the Ford Fiesta RS WRC was new to him. Petter wasn’t quite on pace in Sweden finishing 4th, but made it back to the podium with 3rd place finishes in both Mexico and Portugal. At this point, Jari-Matti’s title push was in falling apart and he had to miss the next round due to a broken collar bone. Petter was then given the green light to make his own run for the title. Petter had an off and broke his steering in Argentina on Day 2 and had to “Rally 2”, but still moved up to finish 6th. The Portugal slop-fest in the wet almost handed a win to Petter on a silver platter with both Loeb and Latvala going off…instead he went off as well. In Greece, Petter pushed too hard while running in a strong second position on the final day, clipped a bank and went off. To add insult to injury, the very next stage Loeb had a puncture and had to change it on course, which would have handed Solberg the lead had he been patient. Petter was back on the Podium again in New Zealand, but had to claw his way up due to a poor tire gamble by the team on Day 1. So the first half of the season was not quite what Solberg or the team had expected, but there was still half the season to go and the Ford Fiesta RS WRC seemed like it was technically faster than the Citroens. Little did they realize though that things were going to get much worse for the second half of the season. Petter just couldn’t find the pace or a comfortable setup in Finland, and finished 4th. In Germany, he went wide on the infamous Panzerplatte and the rear end tagged a Hinkelstone, spinning him off the road causing another DNF. By far his best run was at Rally GB where Petter battled in the wet stuff with Sebastian Loeb. Both fought hard for second place and were exactly tied at the end of the penultimate stage. At the very last power stage Loeb gained a few valuable tenths of a second leaving Solberg with a 3rd place finish. Then in France he had another DNF after a dramatic incident with a telegraph pole that was caught on camera. With just two rounds left, Ford announced it was leaving the WRC as a title sponsor, and who could blame them after yet another disastrous season. Jari-Matti and Petter both had hopes of a win for the Ford banner with the remaining events as Citroen already had the title and had no reason to push hard. Unfortunately it was not meant to be. Day 2 of Rally Italia Sardinia claimed 4 top WRC drivers including Latvala and Solberg in what ended up being one of the most dramatic 24 hours of rally carnage seen in years. The final event was the RACC Rally de Espana in Spain, an event Loeb has never lost. Although mostly a tarmac event, the first day was all gravel. Petter’s Ford and most of the other teams had only prepared for a light drizzle and figured it would otherwise be a dry event. Oh how the weather predictions were so wrong as massive downpours washed out the stages. Petter Solberg went out on Stage 2 after hitting an ever widening hole in the driving line that caused Thierry Neuville running in front of him to also go out. Friday’s monsoon caused 9 of the 17 registered WRC cars to retire for the day. Possibly the most on a single day in the WRC history. Although able to restart under Rally 2 for the remainder of the event, that was little consolation for Petter Solberg or for Ford. So what’s next for what was one of the most popular drivers in the WRC? Petter Solberg always had the “Never Give Up” attitude before, but does that still hold true today? 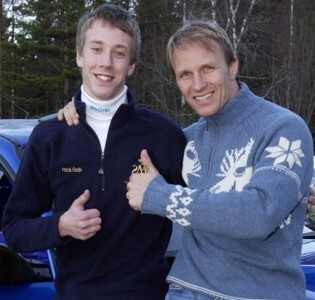 Jari-Matti even though also having a disastrous season at least showed fast pace and enough stage wins to get one of the two remaining seats with VW. It is well known that the 3rd seat at VW will go to two time IRC title holder Andreas Mikkelsen. Prodrive vows to return next season, and just lost the Dani Sordo to Citroen. Would they opt for Petter Solberg or fulfill their promise to Kris Meeke and finally give him the shot at the top level he deserves? What about M-Sport and the future Qatar World Rally Team? Will they take the risk of bringing on Petter Solberg? Or would Nasser prefer to bring on some of the up and coming young guns to his team? Or is it Petter’s career effectively now over? Maybe he should simply retire and go straight into team management? Petter Solberg already own ‘PS Engineering’ who with tyre-supplier Hankook ran a Ford S2000 car for the young and talented Swedish Driver Patrik Flodin. Or what about Hyundai? They won’t see a round of the WRC for another season, but could use an experienced driver to in development like Carlos Sainz did for VW. My thought is that this if Petter drives next year, he will swallow his pride and drive as a private owner again if he doesn’t get a seat. There is no question that he is fast, and faster than most of the up and coming young guns. His back and forth with Loeb at Wales Rally GB proved just how competitive and on pace he can be, but he needs to be more patient. I think he was trying to over prove himself with a factory team and it backfired. It sure sounds like he hasn’t given up just yet, and would like to stick with the M-Sport family. Interestingly Petter doesn’t specify what KIND of race car in his statement, but I’m hoping for the best that he stays in the WRC. Petter has a large and enthusiastic fan following, and that should mean a lot when it comes to sponsors. We’ll see what happens in the coming weeks.